In our new series we display our products in their natural habitat - just where they belong! 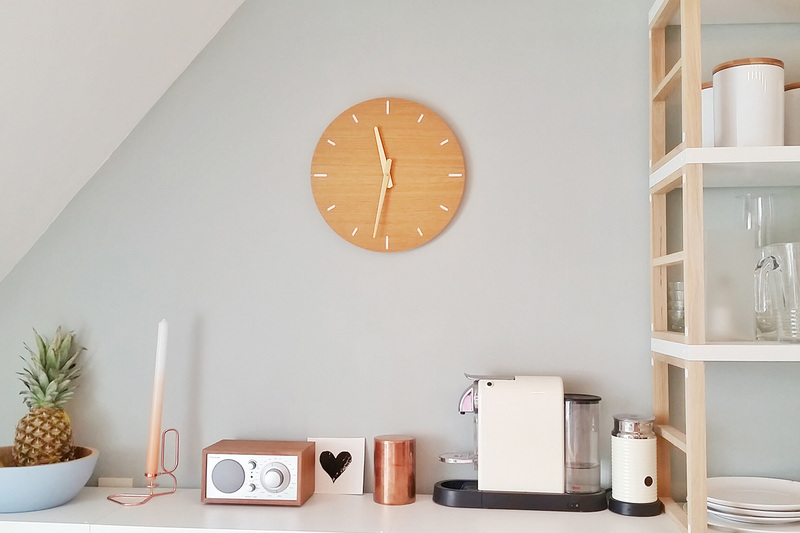 Today: our wall clock from oak in Lara’s kitchen. 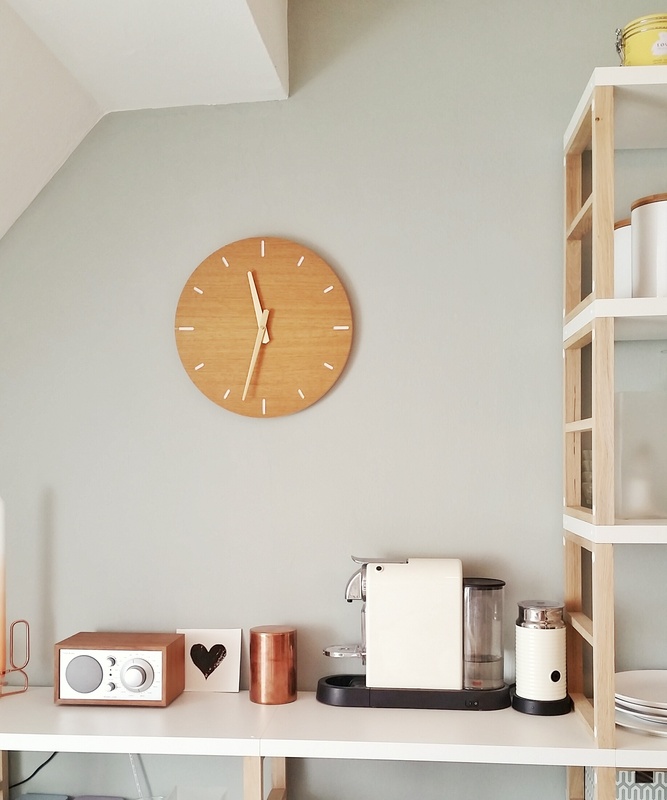 Just a few introductory remarks about our series “in the wild“: We show products in the natural environment such as a kitchen, a living room or wherever they have been placed. By the way, Lara is head of the label “Lille Mus“: She handcrafts bags, jewelry and accessories in her atelier in Munich. It’s definitely worth taking a look or visiting.